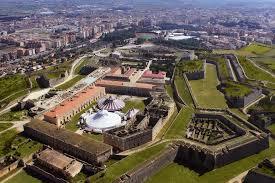 Figueres is a town located on the north eastern end of the Costa Brava, in the heart of an extensive fluvial plain. With a population of 45,000 people, this city, the seat of the Alt Empordà, is the most important town near the border with France, since it is an important communications centre with a great accessibility. You can start your journey going to Sant Ferran’s Castle, a 16th Century fort located in an area of 320,000 square meters that will give you an splendid. The entrance costs 3€ (adult ticket) and includes a free audio guide available in Spanish, English, French, German, Russian, Dutch and Italian. 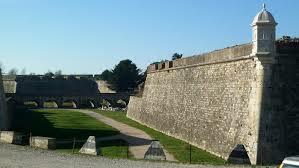 We advice to get to the Castle at least 1h before it closes in order to enjoy your visit. 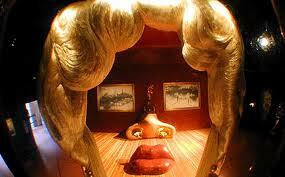 Right after having lunch, you can go to Dali’s Museum, mostly devoted to the artist Salvador Dalí. This museum, known all over the world, is the city’s main attraction, 10 min on foot from the railway station or 10 min straight down from Sant Ferran’s Castle (don’t worry if you unfortunately get lost, everyone in town knows exactly how to get there). 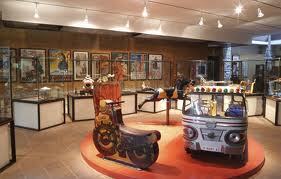 In this museum, located in La Rambla de Figueres, in the city center, you will find the best memories of your childhood. It contains more than 4,000 pieces, such as Meccano, puppet theaters, cardboard horses, kitchens, balls, etc..
After going to the Toy Museum, you can finish your visit to this town going for a walk through La Rambla, in the city centre, in where you will find a lot of cafés with chocolates and pastries, jewelry, regional items, wines, and a lot more. You can also enjoy local Catalan specialties, such as oxtail soup, butifarra, seafood, paella, fuet, gazpacho, patates d’Olot (potatoes with meat and fried), and Ceba de Figueres (sweet onion). The easiest way to get to Figueres by car is to take the A-7 motorway. If you are coming from Barcelona, take the exit number 4 (Figueres Nord), and if you come from France, take the exit number 3 (Figueres Sud). You can also take the trunkroads N-II and N-260 (coming from Portbou). Figueres has got an important railway station placed in the city centre, with trains from and to Barcelona and other Spanish cities, thanks to the line Barcelona-Portbou/Cervera. If you are going to Figueres from Barcelona, the best option is to take a train in Sants Estació to Figueres (even though you can also take a train in Passeig de Gràcia or El Clot Aragó). Sants Estació is such a big station, so make sure you know the platform in which your train leaves before validating the ticket, which costs about 21€ and takes 2 hours to get to Figueres. There is also a bus station in front of the railway station with both catalan and international lines. 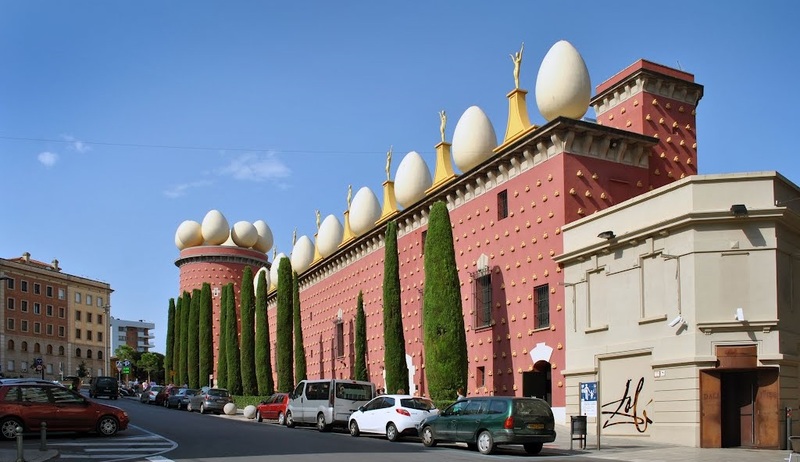 This entry was posted in Art & museums, Outside Barcelona, Places to go, What to do, With kids and tagged castell Sant Ferran Figueres, Dalí, Dali museum, Figueres, Figueres Barcelona, museo Dalí, museo Dali Figueres, visit Figueres, visitar Figueres on October 16, 2013 by ApartEasy. Pingback: Costa Brava, a must seen place. | ApartEasy – Your stay in Barcelona.